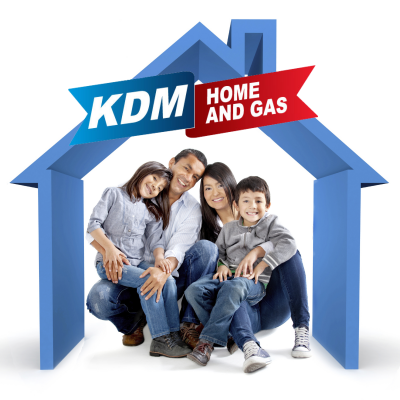 FAQs - KDM Home & Gas Inc.
How can we be energy-efficient? Whether we are motivated by heating and cooling costs, or want to protect the environment, the more energy efficient your HVAC system, the less you’ll spend and the smaller your footprint will be. There are five efficiency ratings that were created to help you decide which products are best for you. ENERGY STAR-rated products have helped consumers save $362 billion on energy bills and reduced greenhouse gas emissions by more than 2.4 billion metric tons. Products that earn the ENERGY STAR rating are proven to operate using less energy. Government regulations require HVAC equipment to carry an EnergyGuide label that gives the customer an estimate of how much energy they will use, how much it will cost to operate, and offers a comparison to similar products. The label has four ways to measure efficiency. The higher the number, better the efficiency. EER measures how efficient an air conditioning unit might operate at a typical temperature. HSPF measures efficiency over a season. Used with SEER the two give a better picture of a system’s probable energy efficiency. HSPF uses BTUs (British Thermal Units, a measurement of heat) output divided by the electricity (watts per hour) the heat pump uses in a season. The Annual Fuel Utilization Efficiency rating, or AFUE, measures average efficiency for furnaces, boilers and water heaters. Not summer yet? It’s still important to prepare now. With just a few tips, your home can stay cool all summer long. Clean the area around your outdoor unit. Remove any debris that accumulated over time, free of leaves, twigs and garbage cans! Clean or replace the system’s filters right next to your furnace. Make sure to replace or clean the filter every three months. Yes your AC uses the filter. Turn on your system to check that cold air is flowing through the vents. If you suspect a leak, hire a professional to make repairs. A good time to caulk and weather-strip around doors and windows. If needed add insulation around air conditioning ducts located in attics and garages. These checks and balances will help to extend the life of your AC, and save you money by addressing the small issues before they become major ones. How efficient is a furnace? The purpose of your furnace is to keep you warm, even on the coldest days of February. But that doesn’t mean it has to cost you a ton of money. An efficient furnace requires less energy to heat your home, resulting in lower energy costs. Is your furnace still the original furnace from twenty plus years ago? Then for every dollar you spend on heating your home, forty six cents could literals be going up your chimney. Manufacturers of heating equipment are required to display the AFUE rating, and the EnergyGuide label. This info tells us how much energy the equipment uses, compares other products and gives an approximate annual operating cost. What size should your furnace be? Improperly sized furnaces can waste energy, create uneven temperatures, poor humidity control and maintenance problems over time. Properly sized ENERGY STAR-qualified equipment can save you hundreds of dollars a year. Make sure you hire a qualified HVAC technician. A modulating gas furnace is designed to maintain an ideal temperature by modulating heating levels in small increments to offset the rate at which heat leaves your home. Some modulating furnaces are rated up to 98 percent AFUE and are equipped with an additional efficiency feature-an electronically commutated motor (ECM). An ECM offers nearly continuous, gradual fan speed operation providing greater efficiency. Do you need a new thermostat? When you purchase a new furnace, it makes sense to upgrade your thermostat as well. A high-efficiency furnace and a programmable thermostat will maximize your energy savings by giving you complete control over the system. Copyright © 2019 KDM Home & Gas Inc.